A new traffic circle for a busy intersection in Tysons Corner, Virginia, would take travelers underground, according to concept plans. The intersection of Route 7 and Route 123 is one of the most traffic-choked parts of the region. A massive proposed traffic circle would have a park-like space on top with traffic underground and be surrounded by new office and residential buildings. Area drivers are split over the new proposal, wary of yet another traffic circle in the region. Underground Roundabout in Tyson Corner? A proposed plan could help traffic move more easily through a very congested area in Tysons Corner, Virginia. News4's Adam Tuss reports. “That'd be awesome,” said commuter Akila Early. “Anything to keep traffic going and to keep the traffic down a little bit helps." 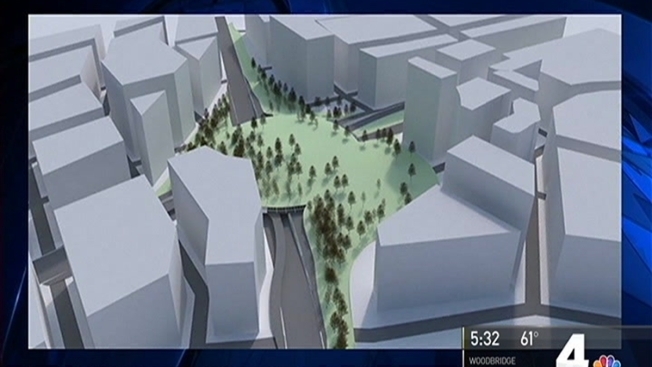 The new huge traffic circle is still in the planning stages, but Michael Caplin, head of the Tysons Partnership, a group promoting change in Tysons Corner, said the new design would be transformative and iconic. 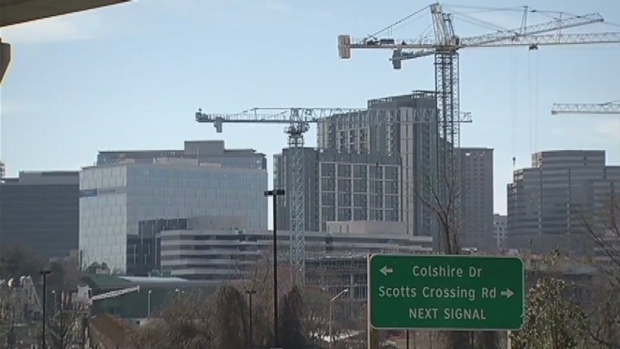 “In this day and age, it's time for Tysons to become more than a corner. It's about to become a circle," Caplin said. “A circle here would work brilliantly. It would tie together the four corners of this very large and very historic intersection, much like (the Place de l'Étoile in Paris, France) or Dupont Circle in Washington." The exact details on financing and construction are being worked out. Fairfax County leaders said they also want to know more about how the circle would operate. “This is the largest redevelopment project in America,” Caplin said. “Forty million new feet of construction."